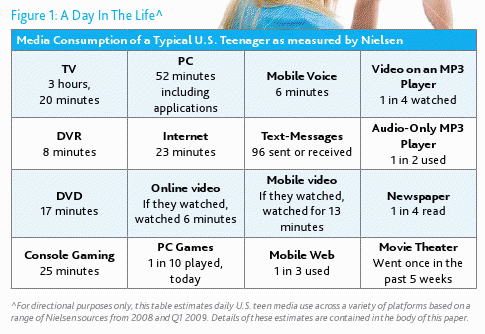 Nielsen Debunks Myths On Teens And Media – They Still Watch TV! Teenagers spend their days texting, tweeting and hanging around on YouTube, Facebook and MySpace! Honestly, that’s what I assumed too. Turns out I’m wrong, and I needed Nielsen to teach me that. The audience measurement company is releasing a brand new report on teens and media with a lofty promise of serious myth busting and hard fact presenting that will downright knock your socks off. With an ever-expanding media universe, social networks play an increasingly important roles in the lives of teens … as they do in pretty much everyone else’s, too. The 33 million or so teenagers (aged 12 to 17) in the U.S., against all odds, keep on consuming quite a lot of non-connected media, such as TV, radio and – get this – even dead-tree stuff like newspapers next to their online activities. 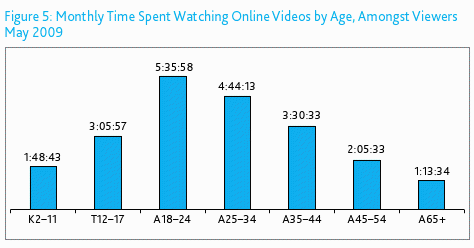 According to Nielsen, teenagers are far from abandoning TV for so-called new media. In fact, television viewing rates among U.S. teens have actually gone up 6% in the last five years. Sure, they browse the Web a lot, but far less than you do. The average time spent browsing for an adult person in the United States comes down to about 29 hours and 15 minutes per month. While I reach that average almost on a daily basis, teens are said to browse the Web a lot less than that: 11 hours and 32 minutes per month on average. 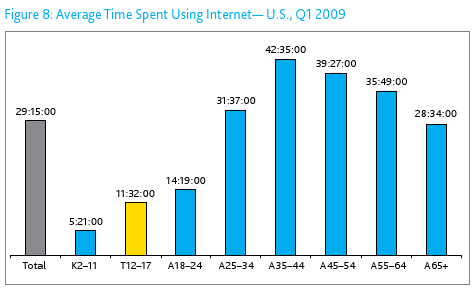 I honestly thought the average teen would spend that much time on the Web a week, at least. – one last takeaway from the report is that teens evidently have their favorite TV shows, websites and genre preferences … only they’re almost exactly the same as their parents’. You can download the report over at NielsenWire, or simply consult the embedded file at the bottom of this post. Let us know which finding surprised you the most, if any.